Swiss troops defeated a French occupying army on this day in 1513 in a bloody battle near Novara in the Piedmont region of northern Italy. The French loss forced Louis XII to withdraw from Milan and Italy and after his army were pursued all the way to Dijon by Swiss mercenaries, he had to pay them off to make them leave France. 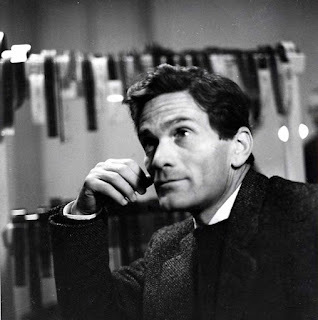 The battle was part of the War of the League of Cambrai, fought between France, the Papal States and the Republic of Venice in northern Italy, but often involving other powers in Europe. Louis XII had expelled the Sforza family from Milan and added its territory to France in 1508. 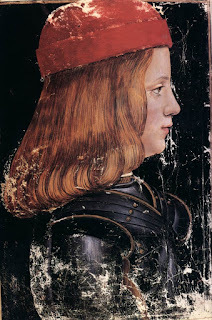 Swiss mercenaries fighting for the Holy League drove the French out of Milan and installed Maximilian Sforza as Duke of Milan in December 1512. 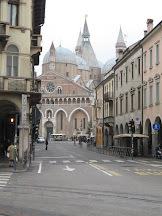 More than 20,000 French troops led by Prince Louis de la Tremoille besieged the city of Novara, which was being held by the Swiss, in June 1513. However, a much smaller Swiss relief army arrived and surprised the French just after dawn on June 6. 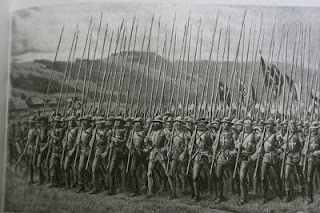 German Landsknecht mercenaries, armed with pikes like the Swiss troops, put up some resistance to the attack, enabling the French to deploy some of their artillery. But the Swiss encircled the French camp, seized their guns and pushed the German infantry back. Caught off guard, the French cavalry fled the field. 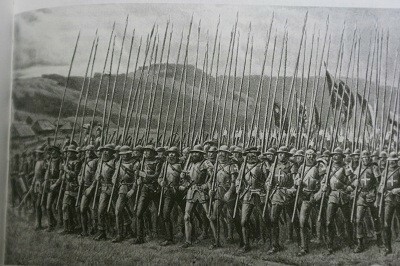 There were at least 5,000 casualties on the French side and about 1,500 casualties among the Swiss pikemen. The Swiss mercenaries caught and executed hundreds of German Landsknecht troops who had fought for the French. They could not pursue the French cavalry, but they later marched into France and got as far as Dijon before they accepted money to leave. It was one of the last, big victories for the infamous Swiss mercenaries of that period. 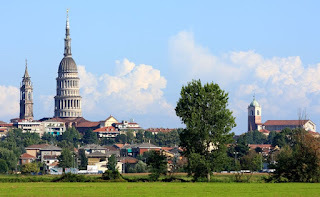 Novara is to the west of Milan in the Piedmont region of Italy. 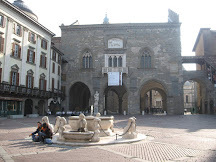 It is the second biggest city in the region after Turin. 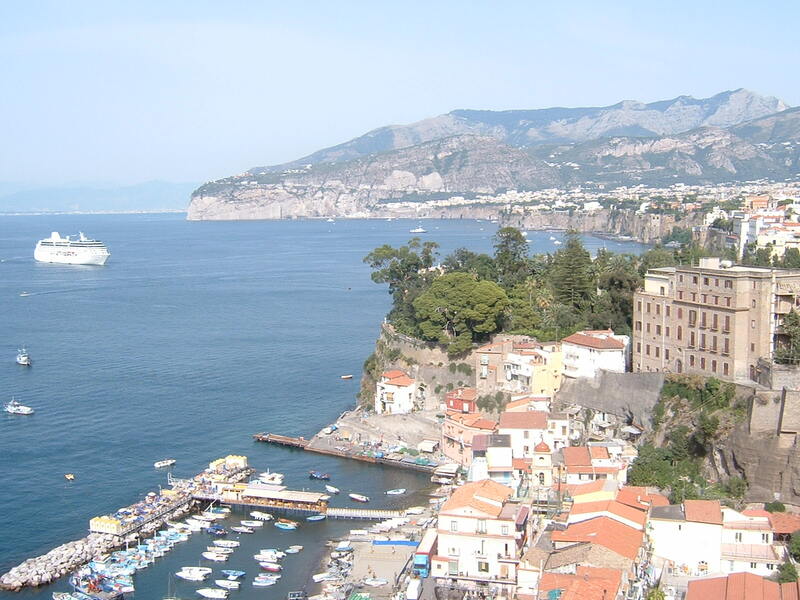 Founded by the Romans, it was later ruled by the Visconti and Sforza families. 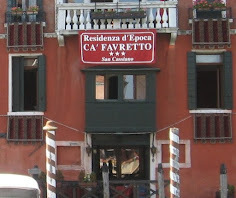 In the 18th century it was ruled by the House of Savoy. 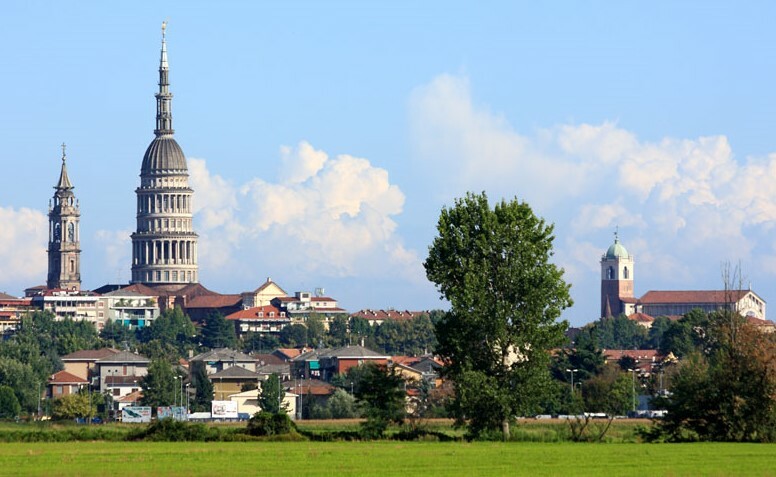 In the 1849 Battle of Novara, the Sardinian army was defeated by the Austrian army, who occupied the city. 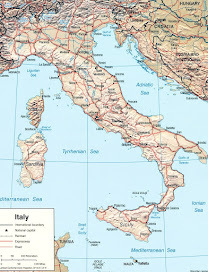 This led to the abdication of Charles Albert of Sardinia and is seen as the beginning of the Italian unification movement. 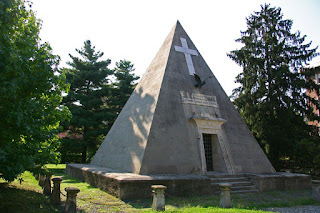 Among the fine old buildings in Novara, which include the Basilica of San Gaudenzio and the Broletto, a collection of buildings showing four distinct architectural styles, is the Novara Pyramid, which is also called the Ossuary of Bicocca. It was built to hold the ashes of fallen soldiers after the 19th century Battle of Novara.